Nature and lagoon trail, as well as a cultural and interpretive center. The Crocodiles, bird watching, and unique flora and fauna, will amaze every time. 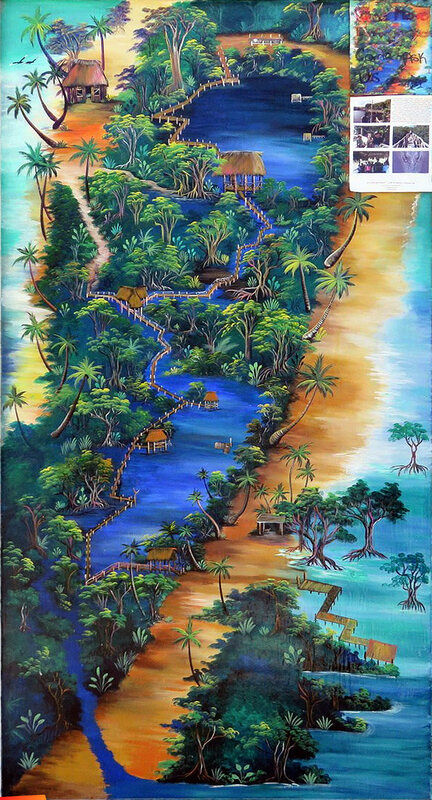 Mr. Dole has a beautiful map of his Estuary (I visited a few months ago…) on North Caye Caulker. He does daily trips and…I have to say…it’s a very cool spot. He now has a facebook page too – The Estuary at Caye Caulker.